From the Inside is the 11th studio album by Alice Cooper, released in 1978. It is a concept album about Cooper’s stay in a New York sanitarium due to his alcoholism. Each of the characters in the songs were based on actual people Cooper met in the sanitarium. With this album, he saw the addition of three former members of the Elton John band: lyricist Bernie Taupin, guitarist Davey Johnstone and bassist Dee Murray. The lead single from the album was “How You Gonna See Me Now”, an early example of a power ballad, which reached #12 in the US’ Hot 100 chart. A music video was also created for it. The album is also notable for having been used to form the characters and storyline when Alice Cooper was featured in a comicbook, Marvel Premier #50. The album’s cover image features the opening manner of doors leading into a hospital waiting room. The doors feature Cooper’s face. Country music savior and critically-acclaimed songsmith Sturgill Simpson has been making waves all over the country with his new breakout album High Top Mountain released on June 11th, and now he threatens to take the high-flying act international by boarding a puddle jumper and puttering over to the Land of the Rising Sun to record the video for his heart-pounding, hot plate, house on fire, country as hell, soon to be hit single “Railroad of Sin.” ‘Godzillabilly’ is what’s he’s patterning the theme, as the Kentucky native and Nashville resident takes a high arching swan dive deep into culture shock. Hell, let’s just cut to the chase right at the outset. The Hickoids defy easy and neat description, or even messy description, though “messy” was often applied to the band’s members and their shamelessly uninhibited punk rock run for the wilted Texas yellow roses from 1985 through ‘92 — one of the mildest descriptions, in fact. The tags hung around their scrawny and unruly necks like name and number slates in arrest photos include but are hardly limited to cowpunk, white thrash, glambilly, hard-corn, psychobilly, hick rock, acidbilly and out on bail. All in a way apply, but none and even the sum of those terms do these magnificent musical reprobates full justice. As more indie and punk bands from the 1990s reform in the 2010s, fans have a right to be skeptical, or, at the very least, cautious. 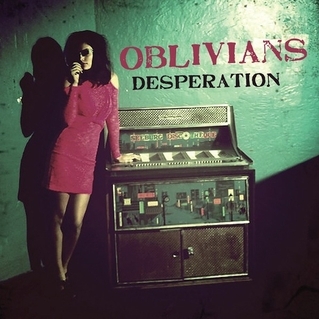 This seems particularly apt with a band like the Oblivians, whose essential charm was rooted in a drunken, sweaty ineptitude that placed blood, guts and mangled blues over pure technique and musicianship. How do you recreate such intense, chaotic moments when, chances are, you can’t even remember them? In the case of the Oblivians’ excellent new album on In the Red — the trio’s first in 16 years — apparently they don’t even bother to recollect. Jack Yarber, Greg Cartwright and Eric Friedl have all had notable careers since the dissolution of the band and, particularly in the case of Yarber and Cartwright, developed into truly skilled players. Yarber has carved himself a nice niche as a reliable purveyor of well-crafted trad-rock that mines the barrooms, pawn shops, and back alleys of the South for inspiration. He plays the classic foil to Cartwright, who has slowly built a name for himself as one of the finest songwriters in America, whether as a behind-the-scenes ace for the likes of Mary Weiss of The Shangri-Las or as the main man of the mighty Reigning Sound. Friedl, to his credit, has put in time with several Memphis punk one-offs, including Bad Times (with Jay Reatard), The Dutch Masters, The Legs, and band-as-weeknight-drinking-club The True Sons of Thunder. He’s also developed Goner Records from a smalltime operation into one of the more respected indie labels around (to say nothing of the store of the same name). The other side of Cleaves’ music is his interest in delineating what it’s like to live a hardscrabble existence without too much hope of rising above one’s station in life. This tends to lead Cleaves back to his Maine childhood, where the economy and the climate are frequently difficult, and which can summon up vivid images for him. One of the best of these is “Welding Burns,” in which the narrator recalls the look of his father’s hands and the trapped feeling the older man felt in the work he was bound to do. 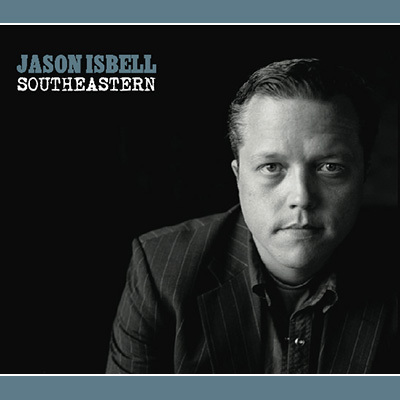 Rod Lockwood wrote: “After 10 years or so of occasional brilliant songwriting — most notably “Outfit,” “Alabama Pines,” “Codeine,” “Streetlights,” “Dress Blues,” and a few others — solid-but-not-great albums, and a protracted battle with the bottle, Isbell emerges on his fourth post-Truckers studio work with a bona fide great album. 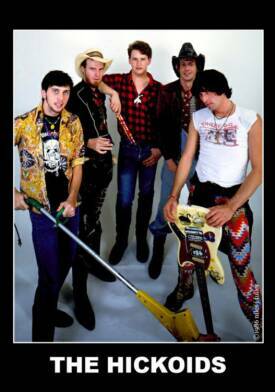 A country/hard rock band formed by Illinois native Jason Ringenberg in 1981, Jason & the Scorchers came careening onto the indie rock scene seemingly out of nowhere (truth was, it was Nashville) with a debut EP whose most killer track (among a slew of killer tracks) was a fire-breathing cover of Bob Dylan’s “Absolutely Sweet Marie.” This amalgam of speedy hard rock fused with Ringenberg’s decidedly country twang, along with the band’s ability to deftly negotiate between Rolling Stones-style stomps and quieter, more melodic acoustic country music, led to Jason & the Scorchers becoming a critically lauded and fairly popular ’80s band. Capitalizing quickly on the attention brought by their debut EP, the Scorchers kicked out two fine LPs, Lost & Found and Still Standing, that sounded perfect for radio, but not so slick as to sound manufactured. With Ringenberg’s yowling voice pushed way up front, the band’s sonic power came from the synchronous playing of Nashville rock veterans Warner Hodges (guitar), Jeff Johnson (bass), and Perry Baggs (drums).